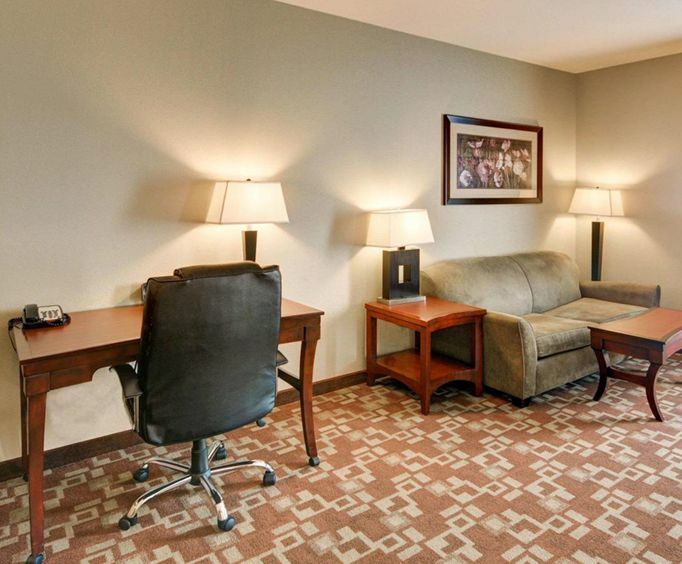 Located near the Dallas/Fort Worth International Airport, the Comfort Inn Suites Near Northeast Mall offers a comfortable stay in Richland Hills, Texas. 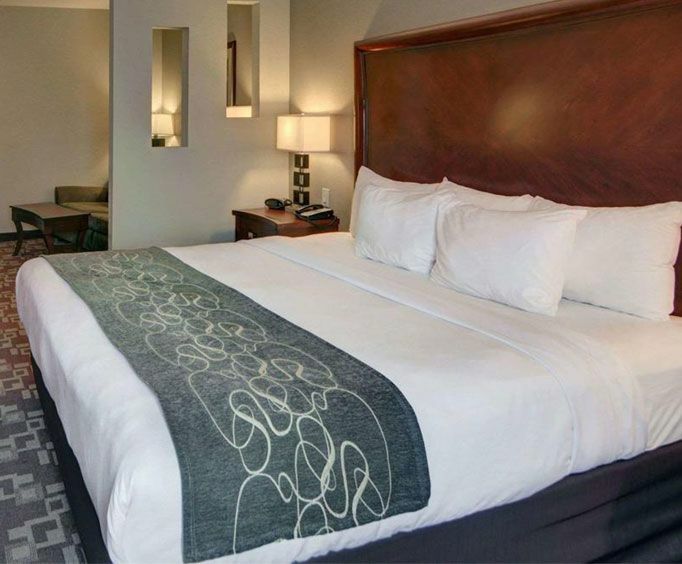 Here, you are provided with a large array of convenient features and amenities, such as a free airport shuttle on weekdays, a nightly manager's reception, a sundry shop, a hot continental breakfast with Grab & Go breakfast bags, an indoor hot tub, an indoor pool, a fitness center and more. A short drive from the hotel takes you to the Imagisphere Museum, Mountasia Amusement Park, Hurricane Harbor, Sid Richardson Museum and other attractions. When you wake up, grab your free newspaper and enjoy a continental breakfast where you can make hot waffles in a variety of flavors! Supplement it with eggs, meat, fruit, cereals, juices and more. If you do not have time for breakfast, then pick up a Grab and Go meal, available for two hours prior to breakfast. 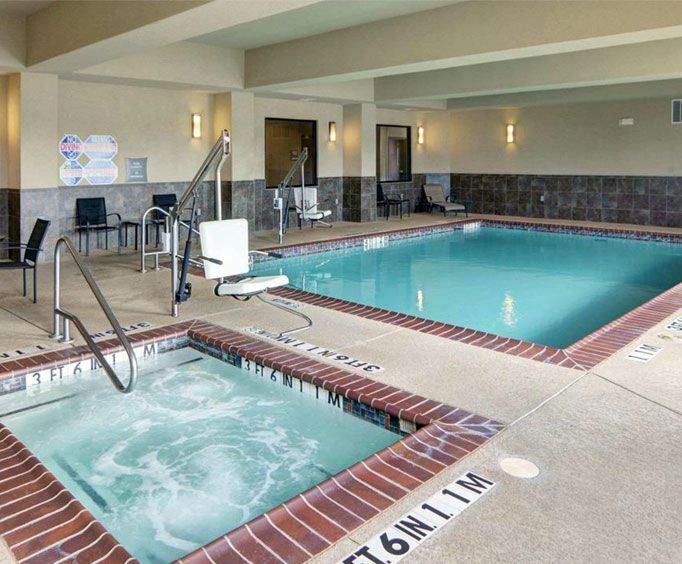 After a long day of shopping and sightseeing, come back to the hotel and work out in the fitness center or relax in the heated indoor pool and hot tub. Then, unwind with your fellow guests at the nightly manager's reception. Every room in the includes a coffee maker, an iron, free local calls, complimentary high speed internet, a refrigerator, a microwave, sleeper sofa and cable TV. There is no shortage of satisfying dining options within half a mile of the hotel, including BJ's Restaurant & Brewhouse, Our Place Restaurant and Denny's. Attractions in the area include Dillard's: Northeast Mall and Phil's Philly Steaks, which are both less than a mile northeast.